Here at the Free Library, we often have parents ask us, "How can I help my child learn to read?" Of course, we know that sharing books with children helps to develop a love of reading, but beyond that, there are lots of things you can do to support your child's language and literacy development. 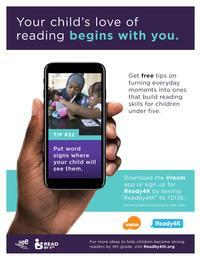 We are happy to announce that the Free Library, in collaboration with Read by 4th, is now providing free access to Ready4K, a great, research-based text messaging program for parents of children between the ages of birth to five. 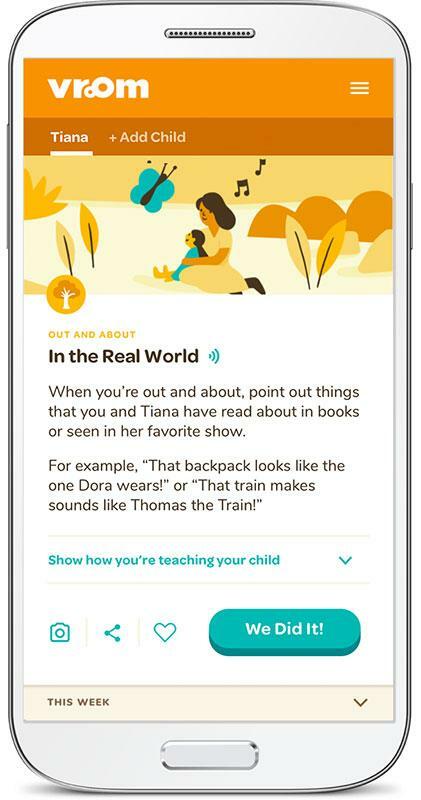 Signing up is simple: Fill out the following form or text Readby4th to 70138 from your smartphone, follow the instructions to select English or Spanish, and enter your child's birth date. It's that easy! 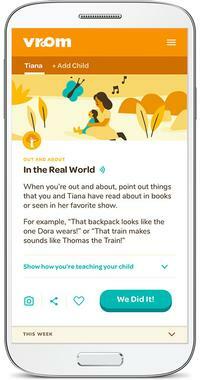 You will then receive three texts per week that are specially created for your child's age with fun facts and easy tips to boost your children’s learning. Data and messaging rates may apply, but otherwise this is completely free. 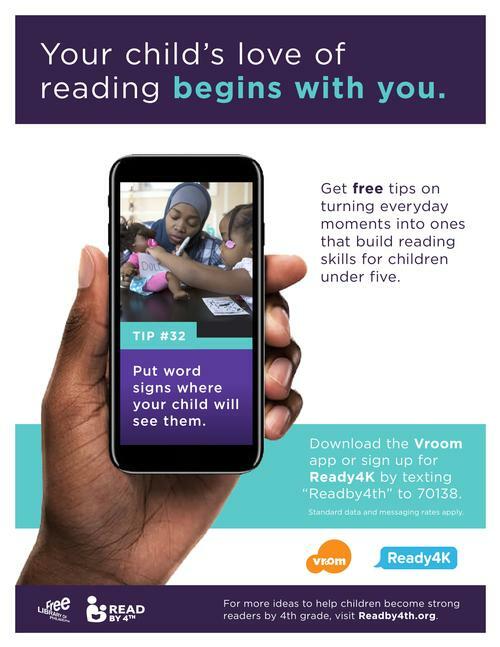 You can also download the free Vroom app, which provides videos of various early learning tips for young children. Parents can choose which technology to use, or use both! Sign up for Vroom today! This is something that should be used for children of ALL ages that are in school. My son is in the 6th grade, and has Autism. He has some difficulty reading, and could possibly benefit from this program. Please reconsider opening this up to a larger age group. Thank you.